» Space saving : no more blue crates stacked behind the bar, in the eye of customers. » OH&S issues: safer transport of bottles, no manual sorting involved. 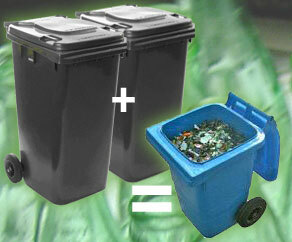 » Space saving and tidier workplace in the loading dock: instead of 6-9 sulo's and 50 spare crates , 3-4 little blue bins. » Noise reduction in loading dock.